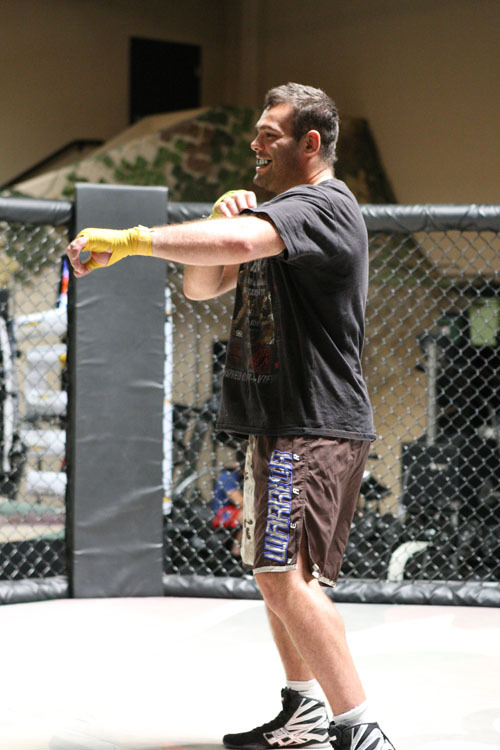 Here are some shots of UFC fighter Gabriel Gonzaga from a training session with boxing coach Ron Frazier here at Randy Couture’s training center Xtreme Couture MMA. The Former UFC heavyweight title challenger Gabriel Gonzaga (11-5 MMA, 7-4 UFC) and “The Ultimate Fighter 10” blogger Brendan Schaub (6-1 MMA, 2-1 UFC) have agreed to square off at the Oct. 23 event – UFC 121. 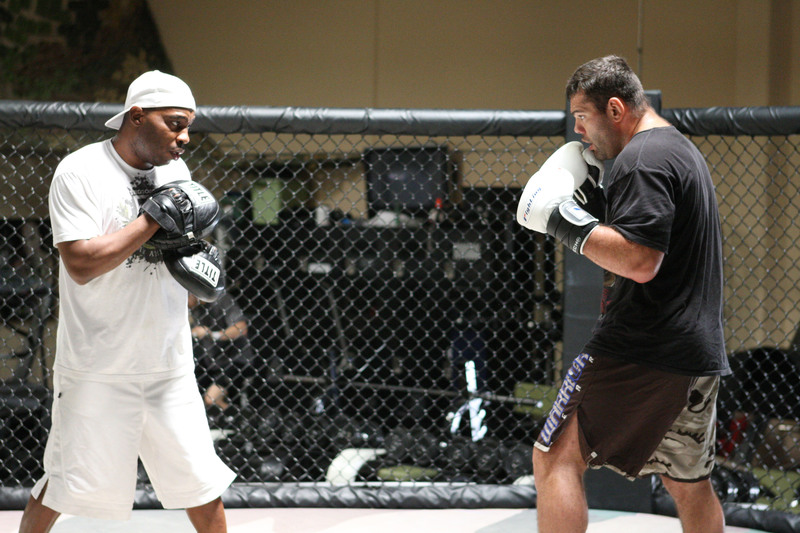 ProTips4U – In this Pro Tips 4U sample video, fighter Ron Frazier explains countering off the ropes. If a fighter has you pushed against the ropes use this move to get out. Learn the secrets of wanting the fighter leaning on you, how to pin his shoulder and use his momentum against him, how to step away, and get him against the ropes where you can then follow with a series of punches. Boxing and MMA are very physically demanding sports and may cause serious injury. 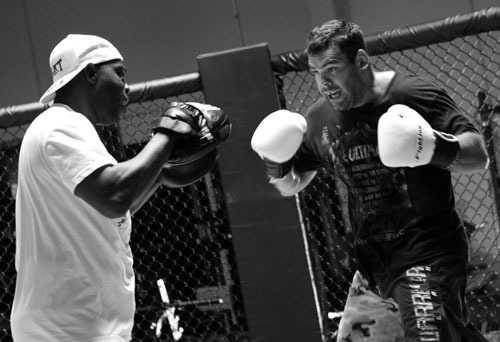 boxing and MMA Pro Tips are demonstrated by professional athletes and coaches and are provided for instruction purposes only. Pro Tips 4U, Inc. will not be held liable for any injuries that may occur through an organized match, practice or misuse. 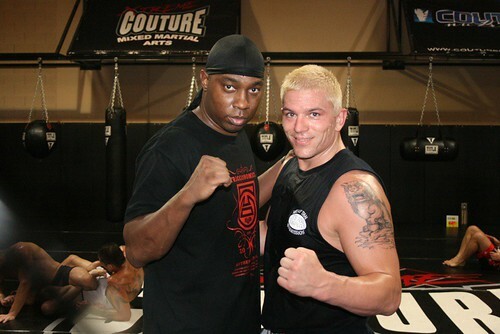 As Jay Hieron prepares for war tonight against Joe Riggs on StrikeForce, we caught up with head MMA Coach and trainer at Xtreme Couture – Ron Frazier. 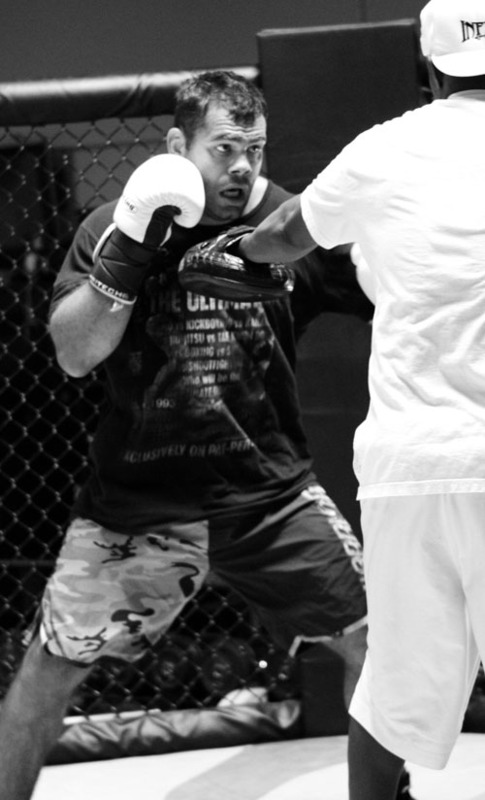 Ron has been a staple here at Xtreme Couture MMA and continues to carve a path for excellence. You can watch Jay Hieron’s fight live tonight online for free. For the first time in history, EA SPORTS MMA will offer live mixed martial arts fight action online with a free of charge stream of the highly anticipated STRIKEFORCE welterweight matchup between wrestling powerhouses Joe “Diesel” Riggs and Jay “The Thoroughbred” Hieron from BankAtlantic Center in Sunrise, Florida this Saturday, January 30. Randy and Kim have decided to help support UNLV’s Boxing Program. The UNLV team which won the NCAA Boxing Championship in 2006 is a club sport that receives very little support from the University. So we here at Xtreme Couture MMA are trying to lend them a helping hand. As the 2008-2009 school year approaches we’ll be announcing some charity events aimed at helping the team to raise funds. Here is an article from UNLV’s student newspaper The Rebel Yell about the boxing team. Xtreme Couture coaches Ron Frazier and Chris Ben are assistant coaches under our pal Skipper Kelp at UNLV. There’s what should be a good scrap on HBO tonight at 10:15 Eastern & Pacific when former Welterweight champs Vernon Forrest and Carlos Baldomir hook up in the ring. Vernon Forrest should continue his winning ways. Though Baldomir is a former champion, he beat a Zab Judah who wasn’t prepared to fight. They’re both former big welterweights but Vernon is six feet tall with a longer reach. He should work behind his jab. Look for a late round stoppage for Vernon.